Mobile Crop Marketing - Alkire Advisory Inc. 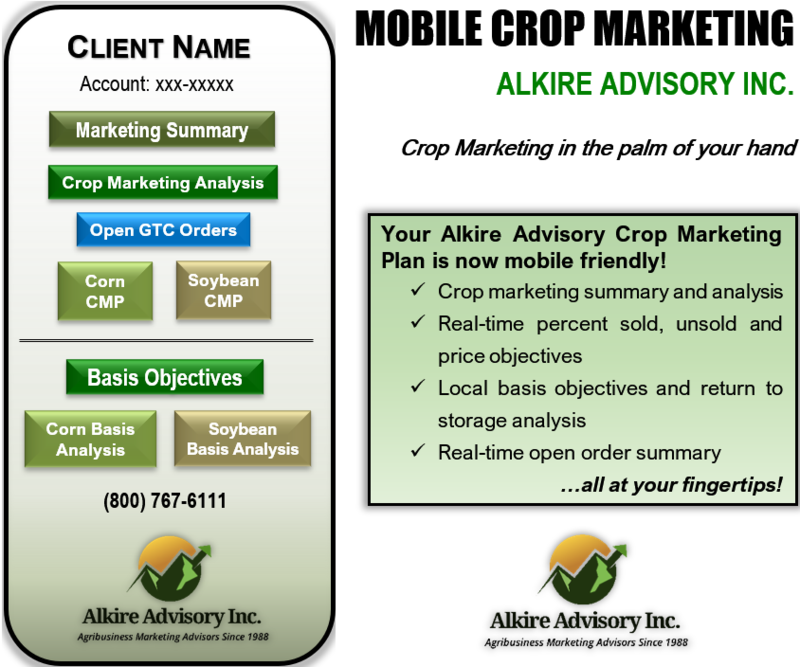 Your Alkire Advisory Crop Marketing Plan is mobile friendly! Contact us to learn more.